Another legend has left us. 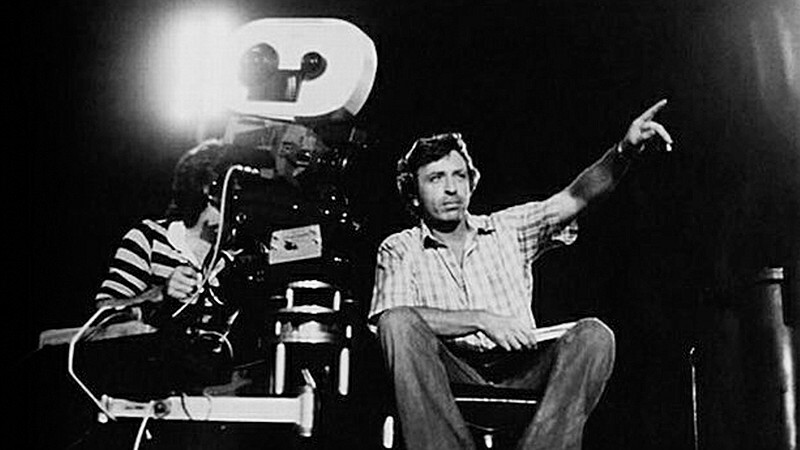 Writer and director Larry Cohen has passed away. He was 77 years old but still gone too soon. Of all the Masters of Horror, none were as singular as the great Larry Cohen. Many horror directors have made great movies that are identifiable as their own either stylistically or thematically (or many times both), but Cohen’s films truly could not be made by anyone else. They didn't necessarily have the technical sheen of Carpenter or the primal, confrontational quality of early Craven, but no one else in the genre combined inspired premises with subversive humor, political commentary, offbeat dialogue, and a specific feel for his locations – most commonly New York, which lives and breathes in Larry Cohen’s movies in a way it rarely does in any other filmmaker’s work. He was a genuine one-of-a-kind treasure, and seeing his filmography reassessed and celebrated in the coming weeks will be bittersweet. On the one hand, the amount of articles and appreciations being written about him will serve as a reminder that he's gone; on the other, at least he will be getting his due. Hopefully his films will find some new audiences as a result. He was one of the truly originals of cinema and we were lucky to have him. 1. Black Caesar (1973) I'm only not including Bone, Cohen's debut feature as a filmmaker, in the first spot on this list because, to be completely honest, I still haven't seen it. Instead, I'll go with his follow-up feature, the blaxploitation classic Black Caesar, the first of several collaborations between Cohen and Fred "The Hammer" Williamson. Shot fast and cheap, guerrilla-style, on the streets of New York City, Black Caesar is incredibly canny in the way that Cohen saw a void in cinema -- genre movies with black casts for black audiences -- and filled it. 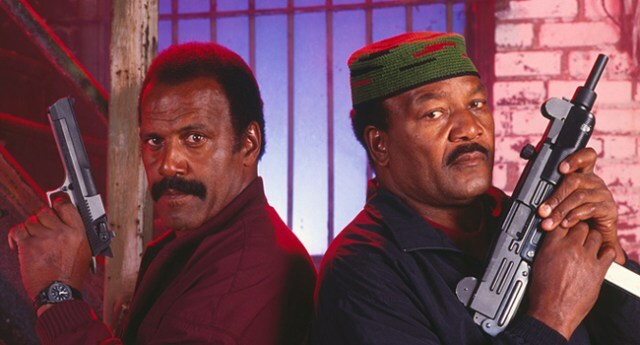 The film's success helped buy Cohen a career and made a movie star out of Fred Williamson. I actually prefer the sequel, Hell Up in Harlem, which Cohen wrote and directed the very same year, but if I can only recommend one to represent this period in Cohen's career, it should be this one. 2. 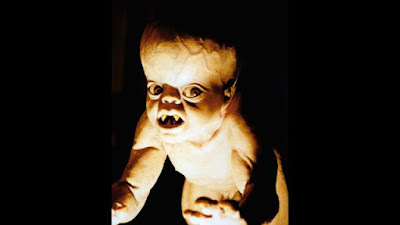 It's Alive (1974) Maybe the most audacious thing about It’s Alive -- known primarily for being the "killer baby" movie -- is that Cohen made it in the first place; a movie about a newborn that slaughters everyone, from the doctors delivering it to the milkman, is so transgressive that it’s kind of a miracle. That Cohen takes this premise and makes something so smart and effective out of it is even more impressive, since he really could have rested on the crazy concept and done very little with it. Instead, he made a movie that is smart and sad, both a beautiful testament to the unconditional love a parent feels for a child and a commentary on reproductive rights just one year removed from Roe v. Wade. Rick Baker’s baby monster isn’t especially sophisticated in some shots, but the few good glimpses we get of the thing are quite effective, made even more so throughout the film because the actors all completely sell it. Adding to the genuine sense of horror that pervades the film is Bernard Herrmann’s fantastic score, all dark and foreboding and warning us of the terrors to come. Everything about the movie is played straight, not just to make it scary but also to do justice to the legitimate family drama and political subtext Cohen layers into his screenplay. It’s quite the balancing act. 3. God Told Me To (1976) Of all the insane, eccentric movies Larry Cohen made during his career, this one is the most eccentric and the most insane. A devout Catholic New York City detective (Tony Lo Bianco) investigates a series of mass murders all committed by people claiming God told them to kill. It's a typically high concept Larry Cohen premise, but it barely scratches the surface of where this movie goes. There's a case to be made for God Told Me To as Coen's best movie. It's certainly his most audacious and ambitious, and there's not another director alive who could have made it. 4. Full Moon High (1981) I know it might be considered blasphemous to say it, but I don't find Full Moon High especially funny. That's ok. That's not why I put it on the list. This horror comedy, in which a young Adam Arkin is bit by a werewolf and then has to go through high school as a monster, is here because it's maybe Cohen's only full-blown comedy, and the single best representation of his Borscht-belt approach to humor. There's no joke too stupid for him try, and the law of averages suggests that this kind of quantity over quality approach means he's guaranteed to hit at least a few times. Had the movie been a big hit, I wonder if we would have seen the direction of Cohen's career change. 5. Q: The Winged Serpent (1982) One of the New Yorkiest of all Larry Cohen's New York movies, Q finds the director making one of the best (and only) giant monster movies of the 1980s. 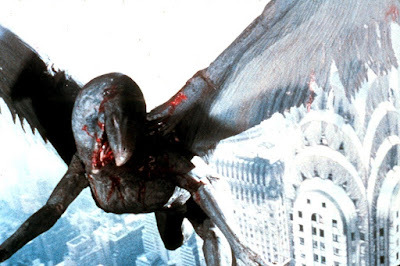 Michael Moriarty, Cohen's leading man of choice (of course), plays a piano-playing sort-of criminal who locates the nest of a giant flying reptile at the top of the Chrysler Building. David Carradine and Richard Roundtree play a pair of cops investigating a series of deaths they don't think to attribute to a prehistoric Aztec monster. This is the movie that gave birth to one of my favorite quotes, from producer Samuel Arkoff in response to movie critic Rex Reed: "The dreck was my idea." 6. Special Effects (1984) This movie, my pick for the most underrated in Larry Cohen's filmography, is years ahead of its time in the way that it examines the relationship between cinema and reality and how they constantly reflect one another; it's like Albert Brooks' Real Life crossed with Body Double with some Vertigo thrown in. Eric Bogosian plays Neville, a sleazy director who becomes taken with the idea of committing murder on film. The longer the film goes, the deeper into Neville's new project we go, the more Cohen blurs the lines between film and reality both in front of the camera and behind it. There are also satirical elements to the film, probably because Larry Cohen is incapable of not being satirical, like the subplot with the cop who trades in his investigation for a producer credit and starts doing his own rewrites. Everybody wants into the movie business. 7. The Stuff (1985) Though social satire had always played role in Larry Cohen's work, The Stuff finds him at his most overt and heavy-handed. 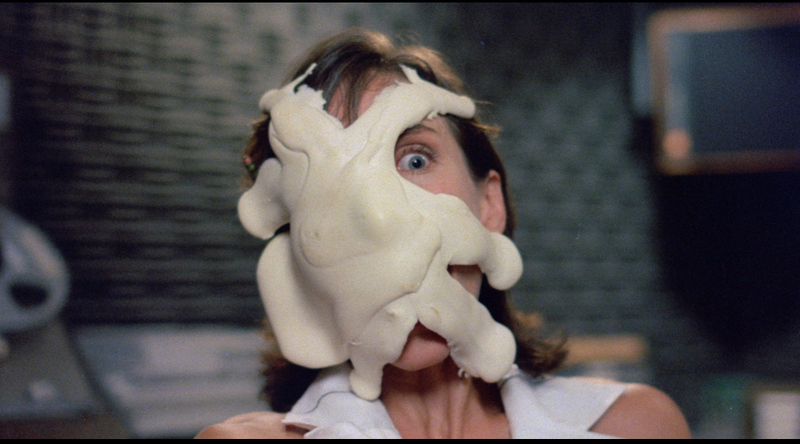 A ’50s sci-fi horror film updated to the ’80s, part The Blob and part Invaders From Mars, the movie finds a new dessert craze taking over suburbia that's really man-eating toxic goo. Despite the obvious silliness of the premise, Cohen never lets it devolve into camp, but doesn’t take it all that seriously, either. Like a lot of Larry Cohen movies, this one has a sense of humor about itself, still playing the material with a straight face. The extent of the movie’s thematics seems to be “consumerism in the ’80s, am-I-right?” The repetitive use of fake marketing materials is amusing (the song really is catchy), but Cohen doesn’t trust his audience to get what he’s going for and has to bring in a sledgehammer instead of a scalpel; by the time we get the cameo from the “Where’s the Beef?” lady (“Where’s The Stuff?”), Cohen is putting a hat on top of a hat. Despite a pace that starts to drag, The Stuff retains its sense of humor throughout and the gore effects work well: they’re often crude, but in a fun way that was only really possible in the ’80s. 8. The Ambulance (1990) Alongside Special Effects, this is maybe most underrated entry in Cohen's filmography. Eric Roberts plays a comic book artist (working for Marvel, complete with early Stan Lee cameo) who begins to suspect an ambulance of picking up patients who are never heard from again. The Ambulance features the director's usual blend of thriller with comedy elements, once again showcasing New York in a way no other filmmaker does. It's one of Larry Cohen's most purely "fun" efforts, and proves that, unlike some of his contemporaries in the genre, he was still a force to be reckoned with even into the 1990s. 9. Original Gangstas (1996) It's fitting that what will turn out to be Larry Cohen's final theatrical feature returns the filmmaker back to the beginning: he started out making blaxploitation movies with Fred Williamson, then came back for this victory lap in the mid-'90s. Williamson teams with fellow blaxploitation icons Jim Brown, Pam Grier, Richard Roundtree, and Ron O'Neal for the story of a group of adults fed up with seeing their city under siege by street gangs, so they take matters into their own hands. Directing for one of the few times from a script not credited to him, Cohen has a blast staging some huge action; while the movie was still made inexpensively, the director enjoys flexing, having a little money to work with instead of his usual run-and-gun approach. 10. 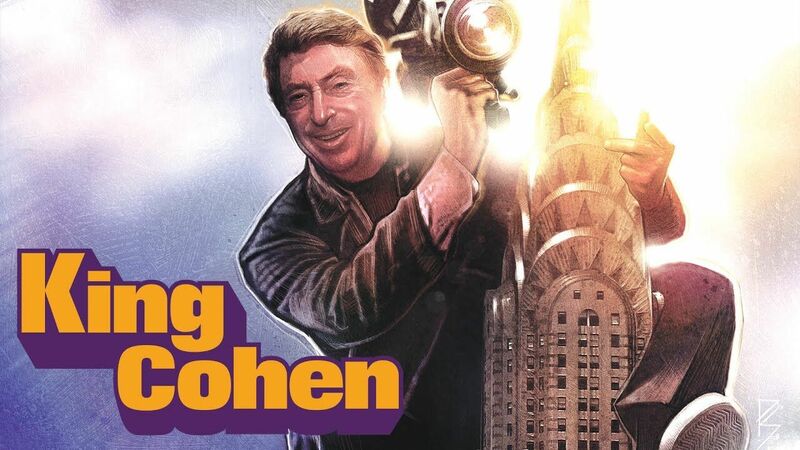 King Cohen: The Wild World of Filmmaker Larry Cohen (2017, dir. Steve Mitchell) Ok, this is technically a movie about Larry Cohen and not a movie he directed, but it really is essential viewing as an overview of his entire career. Not only do you get a glimpse of each of his movies, complete with corresponding clips and correct context, but the interviews with Cohen are worth the runtime alone. He's such a gifted storyteller and conversationalist that it's impossible not to love him, and the movie reveals a side of his personality that you won't necessarily see just by watching his movies. The stuff about him befriending several Hollywood legends (like Red Buttons and Bernard Herrmann) is genuinely touching and sweet, only serving to make me like Larry Cohen even more than I already did. I didn't even know that was possible. I watch God Told Me To last night. Holy crap I loved it. As you said no one else could have made that movie. As you perfectly pointed out he is able to mix these bigger themes of really simple brilliant hook. And on top of that you get an amazing NYC movie, those city shots are amazing. King Larry Cohen will always be a special kind of orginal. Another reminder that a particular era of filmmaking is passing into history. You cannot deny that Cohen created his own path in the realm of exploitation and genre cinema. I have not watched many of his films, but those that I have seen show a man who was not afraid to take risks.